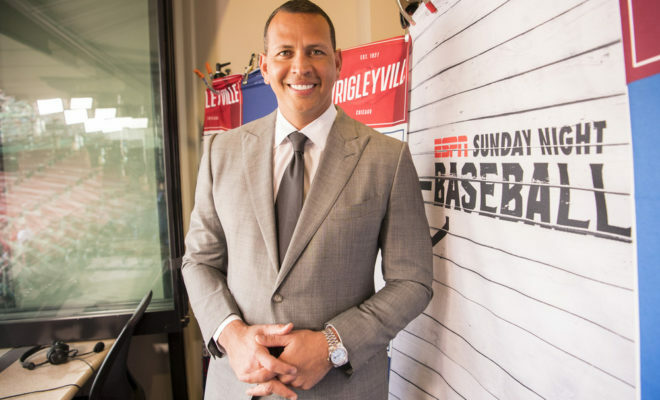 Hey, whatever happened to that 'Pivot with Alex Rodriguez' show on ESPN? In the last two years, a whole bunch of media companies pivoted to video (with disappointing results). In Alex Rodriguez’s case, it turns out he pivoted to nothing. Per the release, the show was set to air during the 2018 Major League Baseball season. Except that, the 2018 MLB season has come and gone and there was certainly never any kind of pivot to Pivot. While it doesn’t exactly like the idea for Pivot, it certainly doesn’t sound all that far off either. Barstool CEO Erika Nardini said that the genesis for the podcast came from A-Rod’s appearances on Pardon My Take over the course of the last year, which certainly coincides timing-wise as well. Strange. We’ll see if and when Pivot finally shows up on ESPN and whether or not it ends up resembling the initial idea or changes based on the (presumed) success of The Corp.